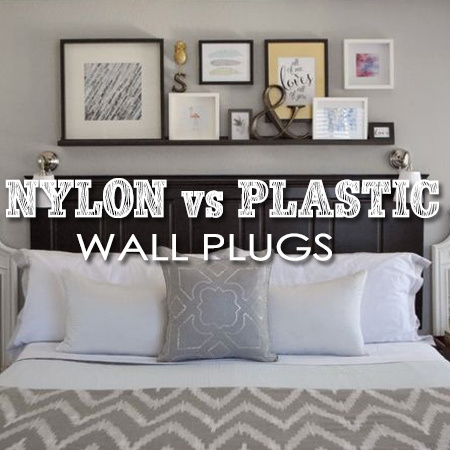 A topic that we discuss regularly at our DIY Divas workshops is the use of plastic or nylon wall plugs for mounting or hanging items on brick walls - why they are different and why it's better to use nylon wall plugs. Don't take the risk of heavy pieces falling on your head - mount them safely. Firstly, it is important to note that nylon can withstand far more heat than plastic, which means that when you start driving a screw into a wall plug - and we know that friction produces heat - a nylon wall plug will not go soft. This is important to note, since many plastic wall plugs fail when you start to drive in the screw. You can be stuck at the top of a ladder mounting a curtain rail and find that the screw simply spins and spins and spins in the wall plug. More often than not, this is due to the fact that the plug heated up and failed to anchor itself in the drilled hole. Unless you know that this could happen, you may presume that all is well and simply carry on - with the result that the curtain rail will be loose and may fall down! 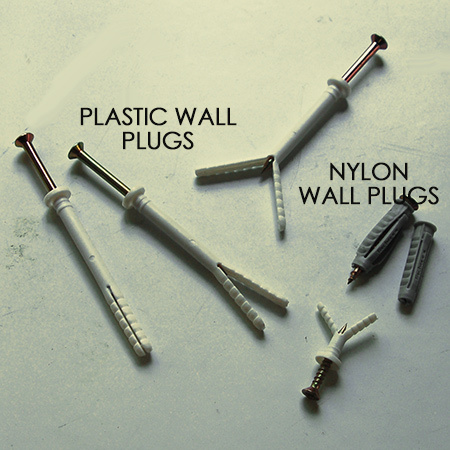 Now that we have determined that nylon wall plugs are stronger than cheaper plastic ones, there are different kinds of wall plugs available for all types of situations and you need to select the right size for your particular projects. A single nylon 6mm wall plug is used to mount a small, light- or medium-weight picture frame, a nylon 8mm wall plug is ideal for a heavy picture frame, while a couple of nylon 10mm wall plug to hang heavier items. Look at the weight of what you are going to be mounting on the wall and determine the right size of wall plug for safe and secure mounting, and how many wall plugs are needed. Once you have determined the size of the wall plug - you will know the diameter of the drill bit to use. The drill bit diameter is the same as the diameter of the wall plug. Most manufacturers, and specifically fischer - indicate the size of drill bit required on the wall plug itself, or on the packaging. 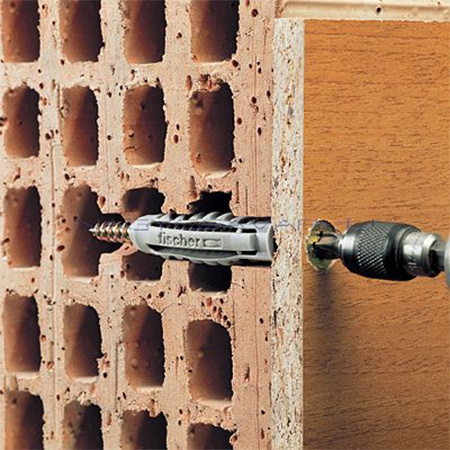 If you are using a 6mm wall plug then a 6mm drill bit is used to drill the hole, and so on. Another factor that is important to bear in mind is that the screw used should be 5mm longer than the fischer wall plug and that the hole drilled is the length of the plug PLUS 5mm or more. The reason that the screw should be longer than the wall plug is so that the screw goes through the bottom of the plug and ensures that the plug pops wide open - securing firmly in the wall. 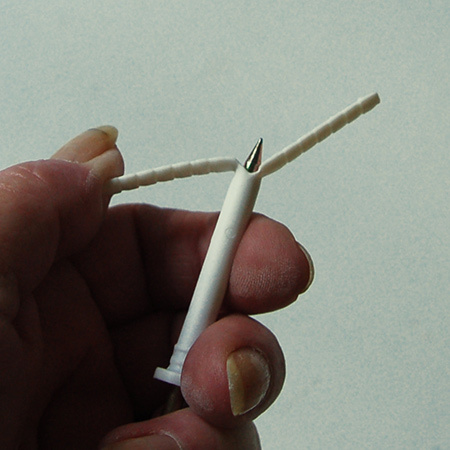 At the end of the day, you may pay slightly more for a nylon wall plug, but it's worth the cost if you know that your projects are safely and securely fastened to the wall and won't fall down!